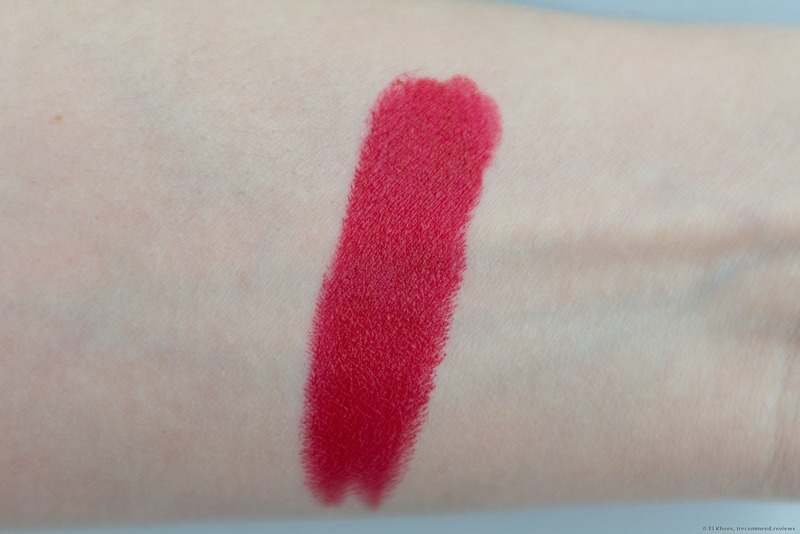 Vicious red or a gorgeous babe from CLINIQUE Long Last Soft Matte Lipstick in the shade #45 Matte Crimson. I’m head over heels with lipsticks. 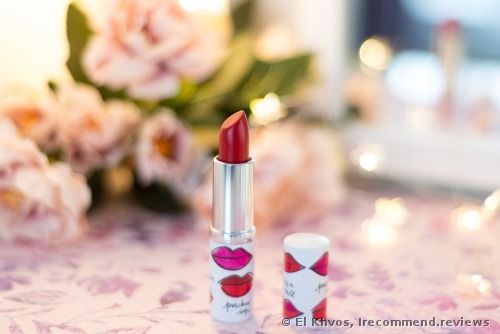 And once I received this one in a beauty box (recently I’ve become obsessed with different beauty boxes), I found a mini of the red lipstick, which I immediately fell for. 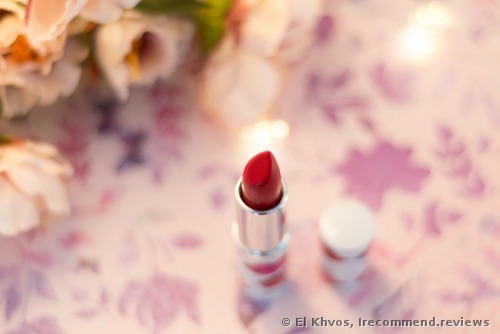 I can’t ever get enough of red lipsticks! This one was actually the reason why I was waiting for the box so much. I was stunned by the tube design. It’s is so juicy, vibrant with lips on and there’s small metal Clinique lettering in the middle. But only a mini can boast with such a design pattern, though. The full size is different. The stick inside has a classic cut. It “sits” in well and doesn’t totter about the rims. 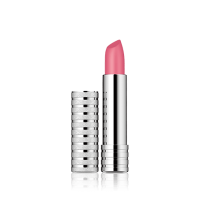 Thanks to the cut, the lipstick is easy to apply even without a lip liner. The fragrance is barely there and a tad sweet. The texture is creamy, not dry and very easy to distribute. The finish isn’t totally matte but it isn’t glossy at the same time. 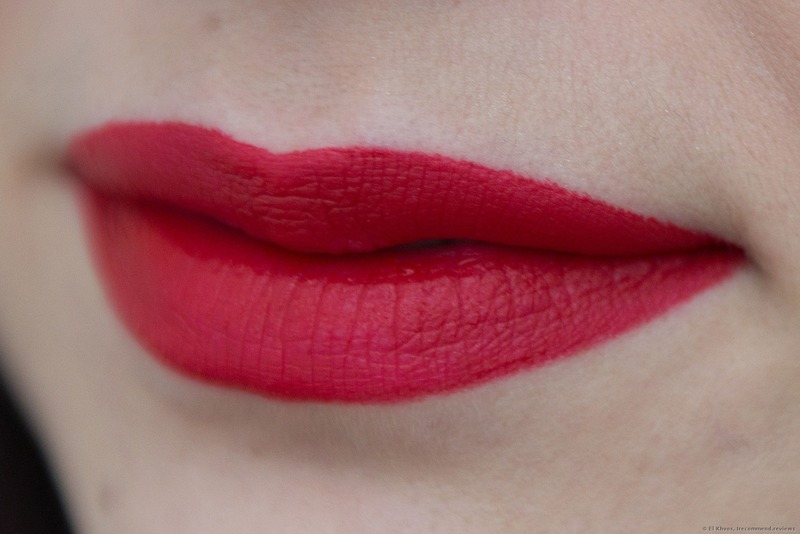 I adore such a finish because the lipstick doesn’t dry out my lips then and feels so comfortable. I can even forget that I'm wearing it. It’s so comfortable on my lips, especially after all those drying matte liquid lipsticks. 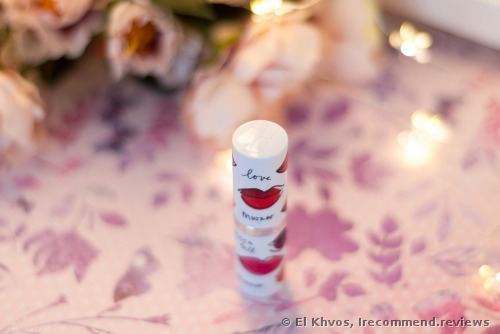 Of course, now the market presents thousands of different comfortable lipstick formulas but still, I find the stick lippies less drying or even non-drying at all. Shade: Crimson. 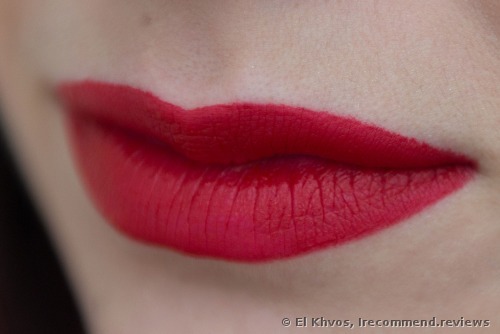 It’s such a classy cool-toned red, so seductive. Application: It’s pretty nice and the shade applies with a thick coverage on the first go, giving me a good color payoff. The stick is so gliding over my lips. The lippie is fantastic during wear. It doesn’t accentuate undesired blemishes and the coverage appears thick. No fading from my inner lip. Just perfection. 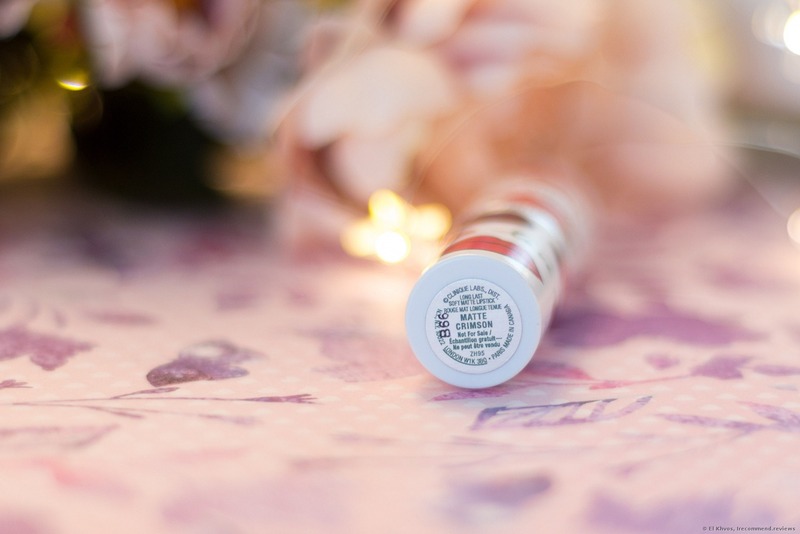 Comfort wear: This is the most comfortable lipstick ever. The formula is so fine that I don’t even feel it present. No tightening or drying out sensation on my lips. No bleeding, feathering or fine lines setting. By the way, this lipstick doesn’t stain my teeth. It fades delicately and of course, it isn’t stain-proof. 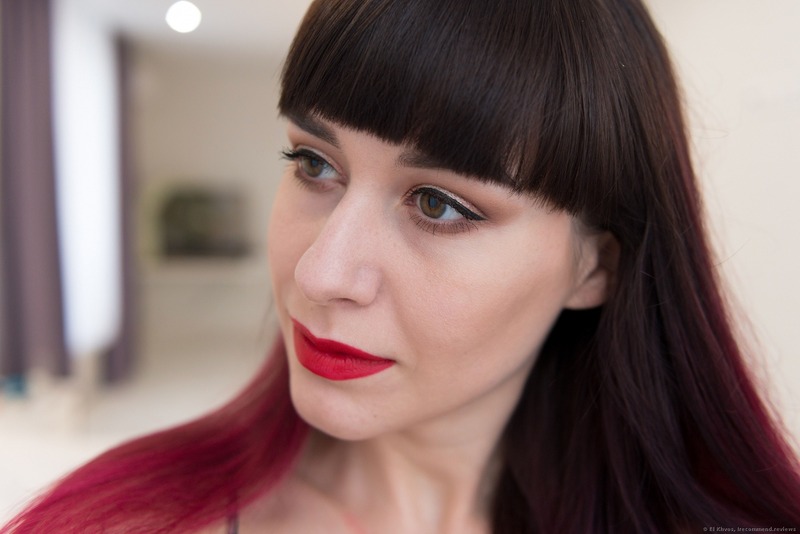 Staying power: Well, I was very surprised to discover that the product was still on my lips even after 5 hours, looking as though just applied. Well, maybe it faded a tad only from my inner lip. Later I started eating and of course, it couldn’t live through a full-course meal. The formula can be layered and touched-up. But I still prefer to remove it completely and reapply. It goes a super long way since the coverage is so thick. How to remove? I usually do it with wet wipes or micellar water. My lips afterwards: They are fine, as though I didn’t wear any lipstick at all. ★ I can’t think of any. This is a very, very good lipstick. I’m so pleased with it. 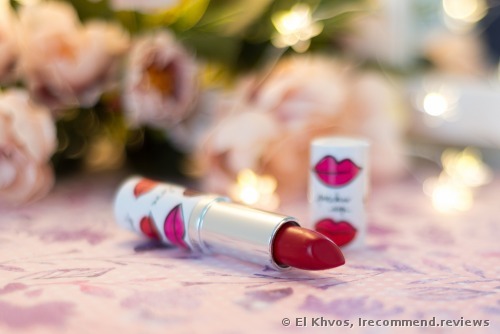 And I’m utterly happy and I was lucky enough to receive that very red shade. I’ve forgotten what it’s like, to feels so comfortable with a matte lipstick on. A sophisticated shade of dusty rose with metallic inclusions. 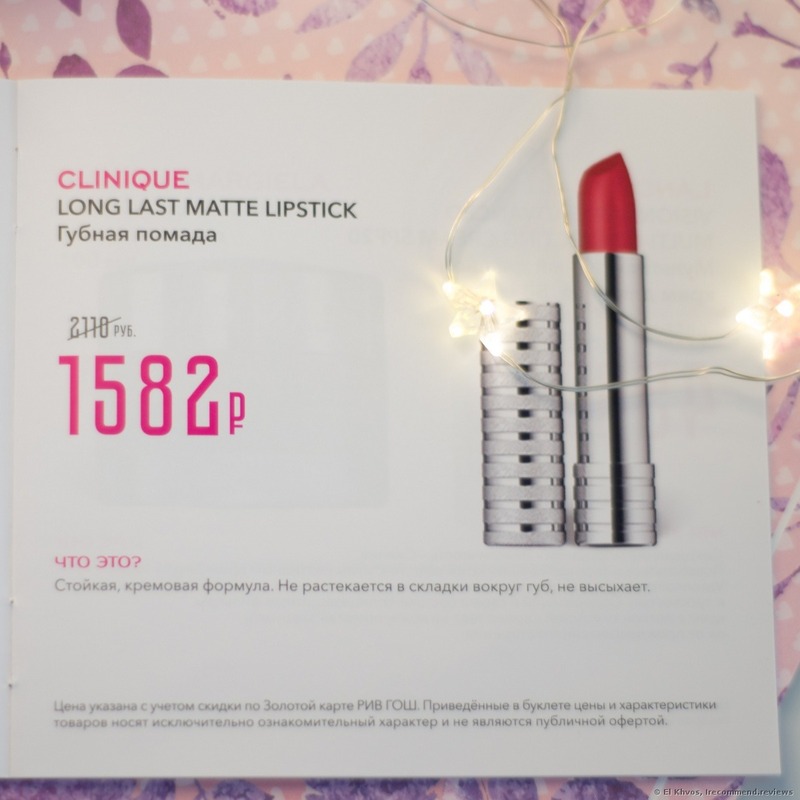 This lippie is worth your attention! 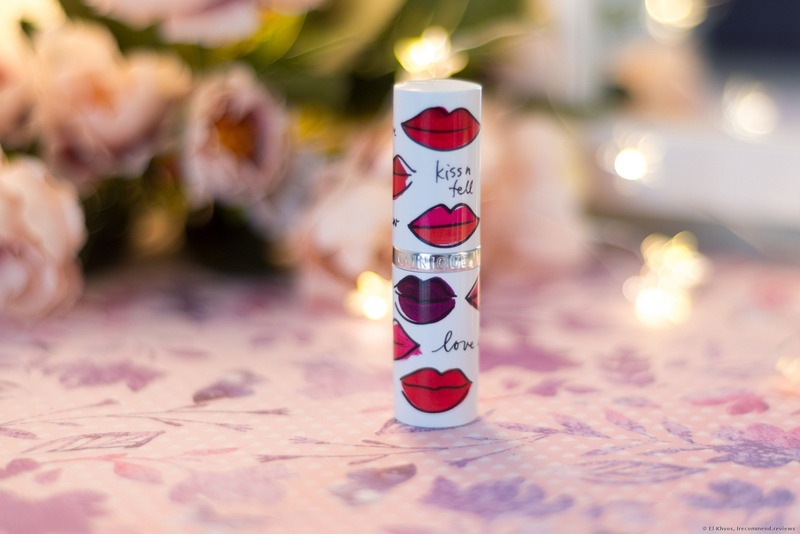 All the deets of the Jingle shade from the Red Velve-tin set by Lime Crime.